The British Frozen Food Federation (BFFF) has announced the shortlisted nominees for its upcoming People Awards, celebrating the best talent the frozen food industry has to offer. Over 40 high flyers from the industry are in contention for 10 awards in categories such as Technical Champion, Marketer of the Year and Factory Manager of the Year. The first-of-its-kind awards was launched by BFFF to raise the profile of the unsung heroes of the frozen food industry. Nominations were submitted by the finalists’ manager or team leader and covered a wide range of job roles and experience. The finalists were chosen during an in-depth judging process by a stellar panel of experts from across the food and drink and HR industries. The six-strong judging panel was made up of Lynda Hulme, HR director Fowler Welch, Vince Craig, BFFF board member, Alison Cannon, founding partner, Resonate Search & Selection, Noli Dinkovski, associate editor, Food Manufacture, Nick Downing, IGD commercial director and Cheryl Bennett, director, Pelican Communications. 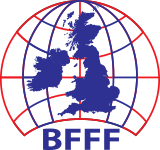 The awards will be presented at a glittering event on the evening of 22 February 2018, at the Birmingham Hilton Metropole, following the BFFF’s Annual Business Conference. Finalists will be invited to an exclusive Presidents’ Reception before the awards dinner, where they will be able to celebrate their achievements amongst their peers. 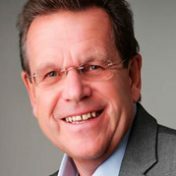 John Hyman, chief executive of BFFF says: “These awards were launched to celebrate the unsung heroes that continuously drive the frozen food industry to be the dynamic and developing sector that it is. We know the level of talent that is out there, but the standard of entries we received was exceptional and it was really encouraging to see how many industry leaders put forward members of their teams that they believe are deserving of recognition. To read the full shortlist of entries or purchase tickets to the BFFF People Awards, please visit www.bfffpeopleawards.co.uk.